Safe-Fence End Tensioners secure electric tape at the end of a fence line. 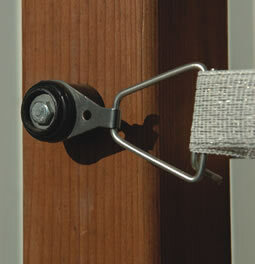 Simply attach to gate posts or buildings to hold and easily retighten fence tape. Works for tape up to 1½". Black, pack of 2.